Stories by Carrol | A mix of quirky topics that at times might seem oddly strange, or strangely odd. David Bowie was one of my favorite musical gods, don’t get me wrong. And I realize that he desired to lead a quiet life with his family in New York, unharassed by paparazzi and tabloids, which is why he hid the news of his illness from cancer from all but his very nearest friends and associates. But the press release announcing his death referred to his having fought a brave battle against cancer. Both things –hiding the diagnosis as though it were shameful, and viewing cancer as a battle or war to be fought – are completely contrary to the way I’ve treated my own cancer. I’ve blogged before about not wanting to fight a war or wage a battle. I’m a lifelong pacifist who has watched too many friends fall to this disease, which they viewed as a struggle to be fought with every weapon at hand. Cancer-as-a-battle is a trope that I have turned my back on. And I don’t believe in cancer as a shame-to-be-hidden. I have told everyone I have encountered, cheerfully and without gloom, that I will soon be gone. Instead of brooding darkly on my inability to change my fate in the face of this inexorable disease, and instead of hoping with false optimism that I’m going to live long enough for a cure to be discovered, I have done my best to maximize the satisfactions inherent in each additional ordinary day of life. I get up each morning knowing that I will probably not leave the house due to the frigid winter air mass outside, but finding happiness in simply being able to hang out all day in my lovely little ranch with its bright colors. I have a craft project I’m finishing up, and when it’s done I’ll start another one just to keep my hands busy. I have three books that I’m currently reading. I peruse the news of the day online. I look at Facebook, but I lurk silently more than I post anything. It’s just nice to see what my friends are up to, out in the world, untrammeled by disease. Life is good, even the impaired life I’m currently leading. It’s good to still be able to eat. In fact it’s splendid news that I’m still able to eat, because this won’t last, so I make sure to enjoy each mouthful. I relish each minute of companionship when friends drop by to see me. I look out the windows when the winter sun emerges from behind cloud cover and marvel at the white sparkling quality of the snow on the ground and branches. I savor each minute of my life right now, and this is how I prepare for my impending death. Hopefully my death will be as good as my life for the past twelve years has been. I’ve said it before, and will say it again now: despite having cancer, and despite the past twelve years being so generally excellent in general, the last twelve months of life with cancer have certainly been the happiest of my life so far in terms of daily happiness. I urge anyone else who has a new diagnosis to consider living well as the best way to respond to the challenge. Bowie spent his last year dreading what was going to happen to him, and preparing music, drama and videos that all spoke of death and loss. If these things reflect the darkness and fear that turned over and over in his mind each day, then I am truly sorry for him. I only wish he could have experienced some of the happiness that I’ve discovered through cancer. There was so much interest last week when I mentioned the recipes that have resonated with me for decades that I thought I would post them for the convenience of readers. Below are the recipes for my mother’s Pennsylvania Dutch apple pie that used to lure commuters to drive out of their way each week to taste; also the recipe for persimmon pudding, which was not listed in the text but which surely ranks up there with the best; how to make your own vanilla extract for a fraction of the cost of the commercial equivalent; and finally: tapioca pudding, Carrol-style. Okay, this one is blueberry, not apple, but I didn’t happen to have a photo of the apple pie. It demonstrates the steam vents and the crimping at the edges (complete with soaring bird). Peel and cut apples into slices, put into a large bowl with all other ingredients on top. Stir until juice appears in the bottom of the bowl. Set aside, pre-heat oven to 400 degrees and make crust. Pre-packaged persimmon pulp from native trees (NOT from the sweet Oriental variety) is widely available in southern Indiana. Those who live outside the persimmon zone should check online to find Internet purveyors. Pour batter into a greased 9×9-inch baking dish and bake at 325 degrees for approximately one hour or until the edges turn a rich dark brown. Can be served with cream, ice cream, hard sauce or eaten plain. If you do any pastry baking at all, you will need vanilla extract for all those pies, cookies, puddings (especially the tapioca pudding, coming up next) and cakes. Some enjoy a shot of vanilla in their coffee, or splashed across their ice cream. You might ask, “why bother to make vanilla? It’s sold at every supermarket.” When you make it yourself, the prep is fun, AND the taste is far superior. If your household is one that uses a lot of vanilla, opt for homemade, just for an experiment. The longer it sits on your shelf, the darker and richer with flavor it becomes. Assume a basic ratio of three to six vanilla beans to approximately eight ounces of neutral-flavored hard liquor of any variety. (That said, I have achieved great results using 3 vanilla beans in a 25 ounce (750 ml) bottle of brandy). Most people use vodka, bourbon or brandy. With a sharp knife, cut the beans down the center line and scrape the seedy core into the liquor bottle, include the little stem at the top of the bean, and write the date on the label. Now cut the remaining slivers of bean crosswise into thirds and drop all those pieces into the mixture as well, making sure they’re all submerged. Some people begin using their vanilla tincture almost at once, after a week or two, but in my household we always wait six months. As the level of vanilla extract in the bottle begins to dip, you can do one of two things. (1) You can start up a new bottle and write the date on it. (2) Fish out all the bean bits and add them to a brand-new bottle, along with about two new beans, because vanilla beans work much the same way as a tea bag: you can use them several times. Tapioca is one of the quintessential comfort foods, especially when eaten warm right out of the pot. Combine the tapioca and sugar in the bottom of a dry saucepan. Break the egg on top of the dry ingredients and stir together until well combined. Now stir in the milk and begin to heat on medium-high, stirring often. When mixture begins to gently boil, turn off burner and remove pot from heat. When pudding has cooled for about a minute, stir in the vanilla. As the pudding cools, the egg will “set” the pudding. Pudding may be eaten whenever it has firmed up. Whether you prefer it warm or cold is your option. I stopped eating mid-morning on October 28. It’s not that I dislike food. But due to the growth of an incurable tumor that’s blocking my bowels (sorry for these grisly details), food that enters my body at one end is now unable to exit at the other end. I won’t describe the long week that led up to the decision to stop eating; but I guarantee that if you had experienced that awfulness yourself, you would understand my choice. Because there is no Death With Dignity law in my state – no option for physician-assisted-death – I am very calmly starving to death. I can drink water, but I can’t drink smoothies, shakes, etc. because my body perceives them as solid foods. Oddly, I felt no hunger until nearly three weeks into my fast. The sensation of hunger is now quite different than it was in the pre-cancer days, when I’d get cranky if my breakfast was forty minutes late. I perceive hunger nowadays as visual images of the foods I used to love in the long-ago days of childhood, along with memories of how delicious those foods were. The main image I see is that of my father’s soft-boiled eggs, which he would cook for my brother Jim and me on Sunday mornings. Dad readied the eggs and prepared the toast using his watch’s second hand to ensure that both parts of the meal would be ready simultaneously. I can still clearly see, smell, and even taste those memory-eggs, yolks broken and spreading out slowly over slices of golden-brown buttered toast, with fresh fruit to follow. Because eating at this point has become purely theoretical, a harmless exercise in nostalgia, I’ve begun compiling a mental list of foods that I find pleasing, comforting, or simply delicious. Let’s begin with apples. Because I was born in upstate New York, the heritage variety Northern Spy was the first apple I ever tasted. To me, it’s how an apple ought to taste: packed with juicy flavor, both sweet and acidic at the same time. Using Northern Spies, or the tartest substitute apples she could find, my mom baked exquisite apple pie throughout my childhood, featuring plump raisins and molasses. Later on when I worked as the baker at the old Uptown Café (1980-’81), I used her recipe. The wait staff told me that one regular Friday night customer used to drive down each week from Indianapolis just to eat my apple pie. Home fries are fabulous, especially when cooked in bacon grease, and hash browns are basically a different form of the same thing. Last year I achieved a state of perfection in my hash browns: evenly browned and without any tendency to stick to the pan. Here’s how to do it. While the frying pan is heating a 50/50 blend of cooking oil and butter, shred one to three potatoes (it’s great fun to use spuds of different colors: yellow, purple, white). Taking this moist lump between your hands, stand above the sink and squeeze out as much as possible of the starchy juice. Then spread the shredded potatoes evenly across the bottom of the hot skillet. Apply seasonings and then press flat with the spatula, frying gently. When the hash browns turn medium-brown around the edges, it’s time to lift and flip. Hash browns prepared this way will lift up in a uniform mass, much like a pancake. Great meat foodstuffs range from humble to high. I will never forget the sandwich from an old-style Jewish deli (a real East Coast deli, not a yuppie deli with pretenses) consisting of a mountain of rosy corned beef piled between thick slabs of rye with tangy mustard. But then again, how can one say one has really lived until one has eaten pork chops complete with all the succulent crispy fat around the edges? But, more suitable for summer picnics, and situated at the opposite end of the meat spectrum, I remember mountains of Hebrew National bratwursts drenched in ketchup and mustard. Back in the day, Hebrew National’s dogs popped enticingly when you bit into them and they were far tastier than other brands like Oscar Meyer, Vienna Beef, etc. But like so many other things, they may have degraded in quality over the years, and now we’ve got a wide selection of artisanal sausage products. They’re undoubtedly made with superior meat, but still, I can’t forget those Hebrew National brats and hot dogs of my youth. As for great vegetable dishes, I love mixed baby veggies sautéed together in butter at the opening of each summer. It’s heavenly to eat fresh cherry tomatoes warm from the sun, plucked off the vine and eaten right there in the garden. And there’s invariably a feral butternut squash vining and twining from the compost bin, the taste of which is incomparable. For dairy dishes, give me a large, heavy portion of traditional cottage cheese/sour cream noodle kugel. Or homemade kefir, which I kept in a glass on the counter and regarded as a useful pet that lived in the kitchen. This, with a smudge of dark cherry concentrate stirred into it, was divine on a hot summer’s day. And of course I should mention The Milkshake Diet, which I spent some time on in the summer of 1984 when I was young and unemployed and living on less than two dollars a day. For breakfast: a leftover carrot or apple or banana. Nothing for lunch. Around mid-afternoon, when the hunger pains began to mount, I’d take my two bucks and go to the Indiana Sweet Shop for one of their enormous quart-size sludgy chocolate milkshakes, where the coldness of the huge drink would immediately induce a small localized headache in the center of my forehead. The caloric value of the milkshake meant that I would not be hungry again until the following morning’s breakfast. And thus, in a single meal, I had carbs, protein and fat, the three building blocks of nutrition (or so I assured myself). I no longer eat any of these things. But I remember them with enormous fondness, and they are what is now sustaining me in these last weeks on earth. Who knows: if there is a Hereafter, I think perhaps I’ve earned a good seat at the table. Who, me?!? I ask, confused. I’m just Carrol. What do I do that’s any different from other people? After pondering the question for months, I have some thoughts. Although my family was not religious, we had strong ethical and moral standards. My grandmother taught me it was of the greatest importance to leave this world in a better condition than we found it, and if everyone did this we would eventually find ourselves living on an outstanding planet. She improved her part of the world by working as teacher, helping write the first zoning ordinances for her small Ohio town, and working to ensure schooling for the children of the Mexican migrant workers who passed through each summer to pick produce on nearby farms. So, holding in mind the idea “leave this world better off than you found it”, let’s skip ahead in time to about fifteen years ago. That spring morning I was cut off at a four-way stop on High Street by a male driver who sleazed through my right-of-way as though glued to the bumper of the car directly ahead of him. He revved his engine aggressively, flipped his middle finger and screamed at me from his car, face contorted with rage. I was too surprised to be angry; nor do I make it a habit to willingly encounter any man exhibiting obvious mental issues. So I went my way and he went his. But later I began to wonder what kind of psychic aftereffects might be caused by a chance meeting with a man like this. Back when I was younger and had not yet developed sufficient emotional strength, such an encounter would have ruined my entire morning. An assault, whether physical or emotional, by a hate-filled person leaves ripples that spread, bounce against each other and spread again, ever widening. If this driver had behaved similarly to every susceptible person he came upon that day, he could have dragged down the emotions of dozens of other innocent drivers (not taking into consideration the feelings of his coworkers, or his unfortunate family). And these people in turn might have spread their frustration and hurt onward to other people. I decided to try to counteract this man’s ripples of bad behavior with ripples of my own good behavior. After that day, each time I arrived at a stop sign, I would come to a full stop, make eye contact with the other driver, smile, and beckon him or her to go first. If I was out walking in the neighborhood I would smile and nod each time I passed another pedestrian. I made sure that I practiced compassion, courtesy, generosity and respect. I can’t prove scientifically whether it worked or not, but it made me a lot happier and a lot less stressed. I found that I enjoyed smiling at strangers and seeing them smile back. After I became the “Homes” columnist I considered myself an ambassador for my newspaper. I did my very best to be friendly and courteous. kind and respectful to my interviewees. By doing these simple things I apparently launched a tsunami of gratitude and goodwill that has lasted years and kept me company throughout the long months of my illness. 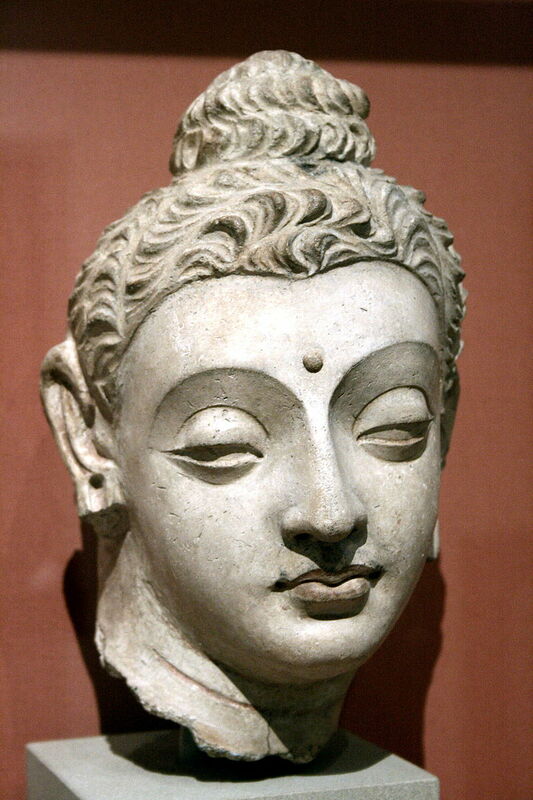 I’m no guru, nor am I a Bodhisattva with all the answers. I’m an ordinary person who over the years appears to have succeeded in generating goodwill in quantities far more than sufficient to make up for the ill-will created by that baboon of a driver fifteen years ago. I think the lesson of the fifteen-year-long experiment is this. All of us can be gurus; all of us can make our society better if we practice a simple formula. Don’t put yourself on autopilot and snarl back at people who snarl at you. Let it go, just ignore that other person’s discourtesy, and then go through the rest of the day intentionally practicing small acts of kindness and generosity toward others. You will become a happier person as a result, one who makes your own small part of the world a better place. My grandmother would be proud of you. Long ago, during college, I considered myself a feminist, and a good one too. But my academically-minded roommate challenged me to list my female heroes. I thought about my heroes, and by golly she was right. All the authors, artists and rock stars I loved most were men; so too were all the great explorers and inventors. My annoying roommate suggested to me that the lack of female role models was a void in my life, and that I should look to women’s accomplishments to complete myself as a woman. Grudgingly, I considered the challenge she set me. The first task of course was to define heroism. To me, a hero is someone whose actions and accomplishments blaze a trail for others, or alternatively, someone who describes the world in an entirely new way. A hero could be someone with immense courage and moral dignity; or a person whose example inspires others. There were certainly female writers and artists to choose from, but their accomplishments didn’t necessarily speak to me as a person searching for role models. Many second-wave feminists at that time (late ‘70s) worshipped Virginia Woolf and Sylvia Plath, but neither of their writing styles particularly lit me up, and I didn’t view their suicides as a plus. It seemed to me that women too often had to suffer or die in order to earn respect, instead of being honored because of what they achieved or created. I ultimately identified several contenders for heroic females. Mary Wollstonecraft championed women’s rights and condemned the institution of traditional marriage at the end of the 1700s despite horrifying her peers with her “shocking” views. I also liked her daughter Mary Shelley because she freely chose the life of a shunned bohemian. And I admired Isadora Duncan, who dedicated her life to the pursuit of love, beauty and creativity. But they all had lived generations before me, and like Virginia Woolf and Sylvia Plath, they exemplified the grieving/suffering female principle which I viewed as a tired old trope. 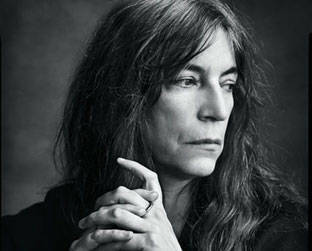 In search of an inspiring modern creatrix, I soon found Patti Smith. She became the subject of a shrine on my apartment wall made from a cluster of photos cut from magazines. Possessed of an unusual appearance, unafraid, brazen, a free-wheeling poet with tangled hair and no makeup, Patti growled and yelped her music and was unafraid of blasphemy. 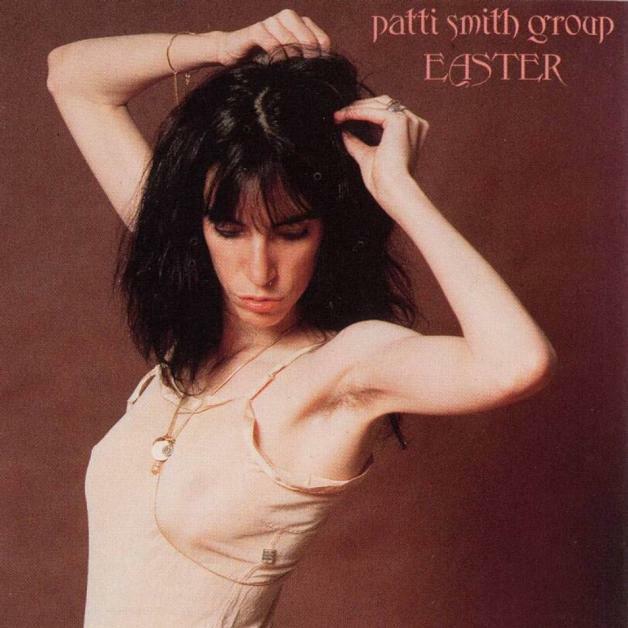 (“Jesus died for somebody’s sins….but not mine.”) Head held high, Patti followed her own unique and idiosyncratic path. (“Outside of society, that’s where I want to be.”) It was rumored that she had jerked off to her own photo on the cover of her Easter album, which depicted her in rumpled negligee, one arm raised to reveal an unshaven armpit. I was delighted with Patti, as were many of my friends. If anyone knew how to épater les bourgeois, Patti certainly did. The High Priestess of Punk seemed a worthy rebel hero to me. After graduation my life truly began. I married; started my own profitable business; earned a law degree; had my son Miles; traveled to Europe on a shoestring several times; wrote a popular newspaper column and authored a book. I was no longer worried about heroes or gender. Instead, I did things that I deemed necessary, desirable, or important. Patti faded from my radar, retiring to private life after marrying. After her husband’s death she reappeared and began making music again, touring the world and writing. I began to pay attention to her once more. I read her first memoir “Just Kids” with great pleasure. Because I enjoyed it so much, I bought her second memoir, “M Train.” It struck me differently than the first book had done. Throughout “M Train” she cites scores of creative people who mattered to her: William Burroughs, Sam Shepherd, Jack Kerouac, Paul Bowles, Jean Genet, Paul Verlaine, Roberto Bolaño, Mikhail Bulgakov, Haruki Murakami, Bertolt Brecht and many others. But women barely register in her narrative. What an irony: discovering that my former female hero had virtually no female heroes of her own! My heart sank when she invoked Frida Kahlo, Virginia Woolf and Sylvia Plath, because this triad represented to me the same suffering-female trope that I had resisted in my youth. But Patti was no longer the defiant young rock-n-roll poet I had idolized long ago. Over time she had evolved from a musical iconoclast to a figure haunted by loss. I thought about Patti’s lack of female heroes for several days, bemused. Were there no outspoken bold women she admired, none at all? I was disappointed, but eventually realized I was doing the same thing to Patti that my annoying college roommate had done to me: focusing on gender instead of simply respecting the fact that Patti found these fellow human beings to be admirable in some way. And as for the grieving-female stereotype, many of Patti’s male heroes had also suffered and grieved. Suffering is by no means a female monopoly. Any human who lives long enough is bound to suffer – including myself. Although I’m dying of cancer, I don’t want others to think of me as a sorrowful figure, or to lump me into some category purely because of my gender. Here’s my own manifesto and resolution. Over the years I’ve evolved from feminism to humanism (respect for all, and belief in human capacity for self-worth and betterment). I think of myself each day primarily not as a woman but as a human being. I feel this is a necessary step in our human evolution as a species. After I’m gone, I don’t want to be remembered simply as a female, or as someone whose life ended tragically before its time. Instead, I was a human being who was possessed of exuberance, bawdy humor, imagination, courage and ethics. Abandon all categories, a friend spray-painted long ago on a downtown wall. I agree. Attempting to balance the playing field between men and women is probably not the best use of finite resources. Trying to improve ourselves as human beings is a far worthier goal. In times like ours, heroes of any gender are desperately needed. Long live Patti! Everyone keeps telling me, “You don’t look ill! You look great!” I know they mean it as a compliment, but I DO have a belly full of cancer, and I definitely look better than I feel. In truth, I’ll probably be the best-looking corpse at the funeral home later this year. I’m definitely on a long slow slide downward, with small upticks along the way during which I look and feel better. I spend long productive hours at home weaving, spinning, and writing, when not sidelined by drug-induced fogginess. The palliative painkillers have certainly saved me a good deal of physical distress, but they create additional problems (some of them detailed already). As I observed in my earlier blog, dying people are offered handfuls of drugs to ease pain, to reactivate sluggish bowels, to quell anxiety, to fall asleep at night, but we generally are not offered non-drug alternatives that might help us maintain a clearer, cleaner and swifter end-of-life. 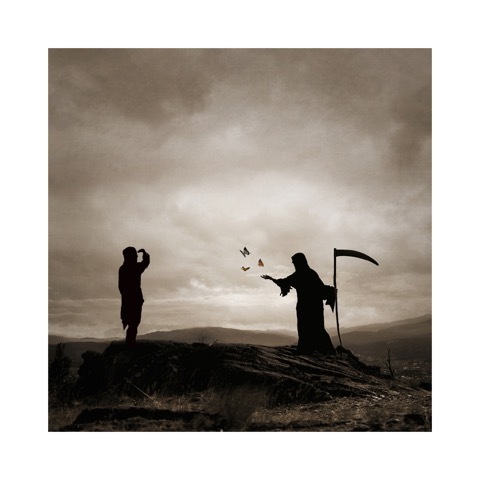 Conscious death is a movement that has not yet taken hold here, so we have only the drug model to turn to. Because Indiana is so backward, and because it has permitted medieval religious ethics to taint our laws on assisted dying, there is no death-with-dignity option for me. Because I do not want my death to be prolonged, I instead have drawn up a Do Not Resuscitate order that has been suitably witnessed and registered. But here’s the question: in effect, don’t my painkillers constitute an artificial prolonging of life, since they keep me alive without allowing me to recognize how gravely ill I am? 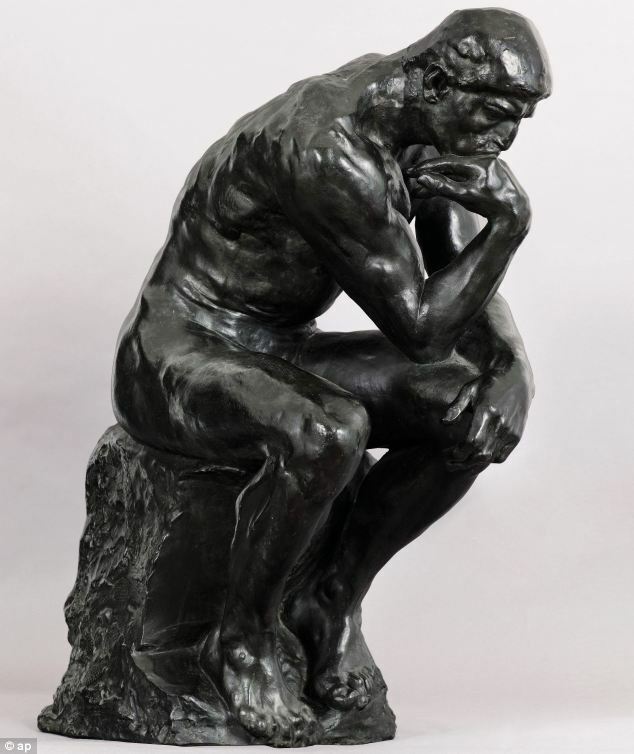 In ancient millennia, without pain relief, people at my point in the disease would simply curl up in a corner and refuse to eat until they shriveled up and died, but modern pain relief is now keeping me alive, and enabling me to eat small meals, since I can’t feel the majority of the pain in my belly. Many people would at once say “That’s the benefit of modern medicine! It allows you to maintain your quality of life for weeks, even months, much longer than you would have had in a pre-industrial society.” Well, that quality-of-life issue is the sticking point. I’m still on a very low dose of prescription painkillers, and once my cancer has grown sufficiently to require higher dosages, my current quality of life will vanish as I become too groggy to write, weave, spin, or even take a stroll outside without a buddy to watch over my staggering feet. What then? And with my mind increasingly stupefied by narcotics, how can I expect to practice mindfulness meditation, self-hypnosis, or the daily attempts at maintaining a good attitude that have served me well until now? Are these drugs really the best we can do for our dying ones? I don’t have a lot of answers, or a lot of wisdom; I’m just stumbling down a darkening passageway, commenting out loud as things slowly occur to me. But it seems to me that piles of drugs are not the best option for someone who wants to die peacefully, with dignity and intention, and without any nonsense. Perhaps cancer has colored my perception, but there are many things in American society which make no sense to me as a rational being. After addressing more frivolous concerns recently, let’s look at a burning political question. Why don’t more people vote? Soon, viewers will sit down with popcorn in front of the movie “Suffragette” and find it astonishing that English suffragists were exposed to terrible violence and oppression during their campaigns in the 1910s; but a large number of these same viewers will completely ignore Election Day when it rolls around. How can anyone be so indifferent to a crucial right that people died to gain? National politics are indeed difficult to influence, but it’s impressively easy to make a real difference at the local level. I become indignant when people tell me that their vote doesn’t count, or that primaries aren’t important, or that the system is broken and doesn’t merit being supported. If you feel this way, run for mayor or councilperson yourself, and show us your awesome plans for improving the existing system! Monroe County had virtually the lowest voting turnout of all of Indiana last year, which is cause for community-wide shame when considering how many educated and creative people live here. And remember: the city of Bloomington wouldn’t be marred by so much horrible misdevelopment around its central core today if more citizens had turned out during the planning process to voice their disapproval. Indeed, your vote definitely counts. A mix of quirky topics that at times might seem oddly strange, or strangely odd.